If you read this blog, you probably have a strong affinity for makeup and beauty. I recently partnered up with a few of my fellow beauty blogging friends from a network we’re a part of called, Beauty Blog Coalition. 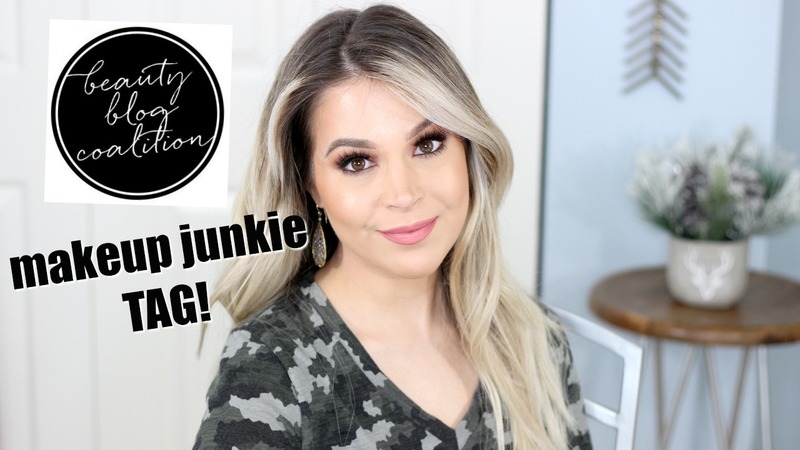 We decided it would be fun for our readers and followers to get to know us a bit more through a makeup junkie tag where we answered 10 beauty related questions. If you want to check out the questions and my answers, continue reading. Any makeup trend you wish would end? Do you have a secret technique in applying makeup? One makeup product you can’t leave home without? What is your favorite type of video to film? What is your favorite type of video to watch? Have a beauty blog or YouTube channel? Definitely feel free to do this tag and let me know if you do. I would love to see your answers! Enjoy watching YouTube videos? Subscribe to my channel for weekly videos – I’d love to have you there! "Time To Glow Up | New Beauty Habits For 2018 With Olay"
"Currently Testing… NEW Soap and Glory Releases In Makeup + Skincare"